Record stunning video at night up to 20 feet away onto this teeny spycam. 110 degree range captures a large area. Along with a 1 year standby battery life or optional power bank, you are guaranteed to capture the action as soon as it happens. At only 1.9 ounces, about the size of a smart phone, this is truly the smallest HD video camera that comes with all these incredible features. With simple, easy-to-use features, this is the perfect camera to take anywhere you can imagine. It records at 1080p video in AVI format at 30 frames per second with stabilizing features to keeps away blur and distortions. 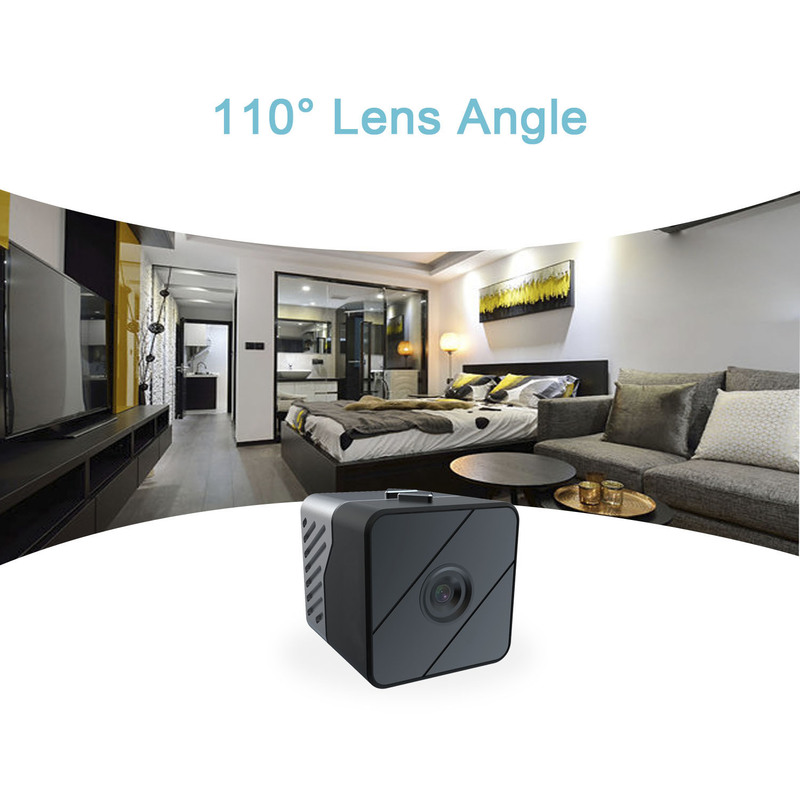 The camera has an exceptional 110° wide angle provides a wide view angle for you to capture the most view possible without distorting the image. All footage is saved to the included 16GB Micro SD card, or use a 32GB that is easy to swap out. 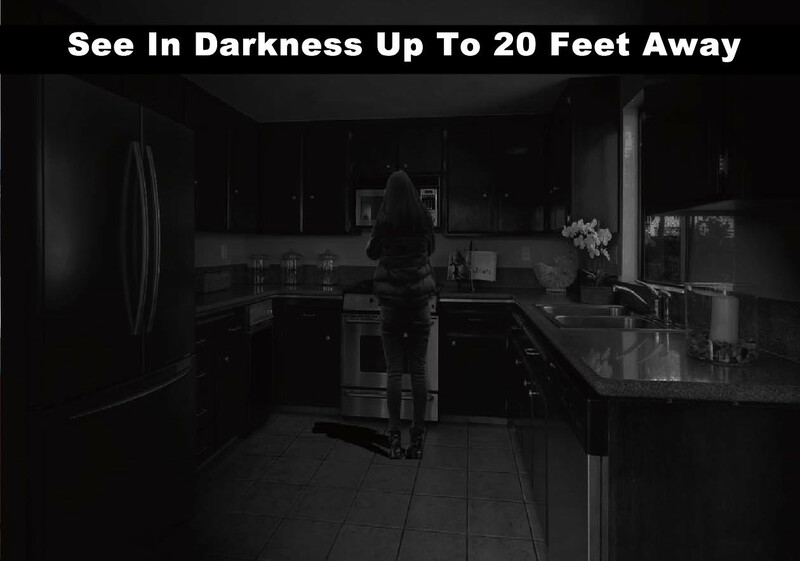 Automatically, you the device will instantly enable the night vision mode and capture subjects up to 20 feet away. 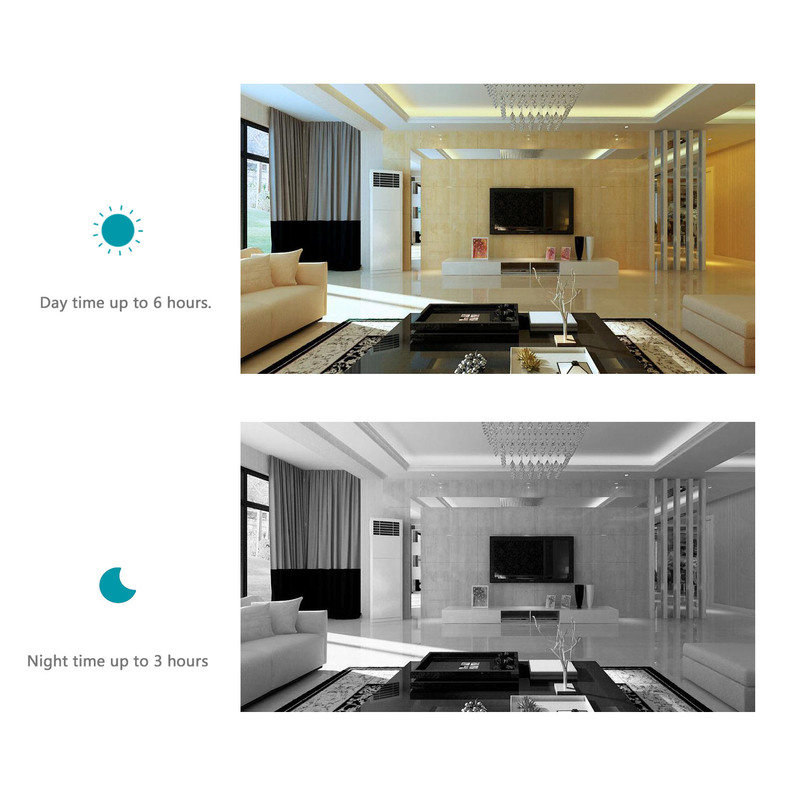 Using the six 940 IR sensors, there will be no obvious red lights to give away that you are recording in darkness that cheaper products use because of older, outdated technology. Note - night vision is always in a high quality black & white mode. Color is daylight only. 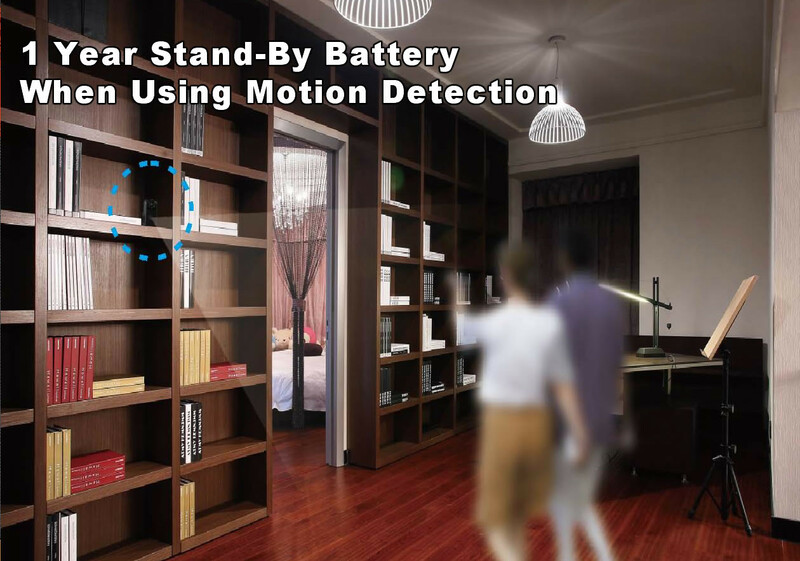 Using the PIR motion activation switch, you can change from recording all the time, to motion activated only recording that detects a 45 degree angle of motion. This way battery life can remain in standby mode for up to a year until it is activated by motion. The more motion that is present, the quicker battery life will drain. The unit comes complete with built-in quality rechargeable battery that fully recharges in just two hours, by plugging directly to a USB port. 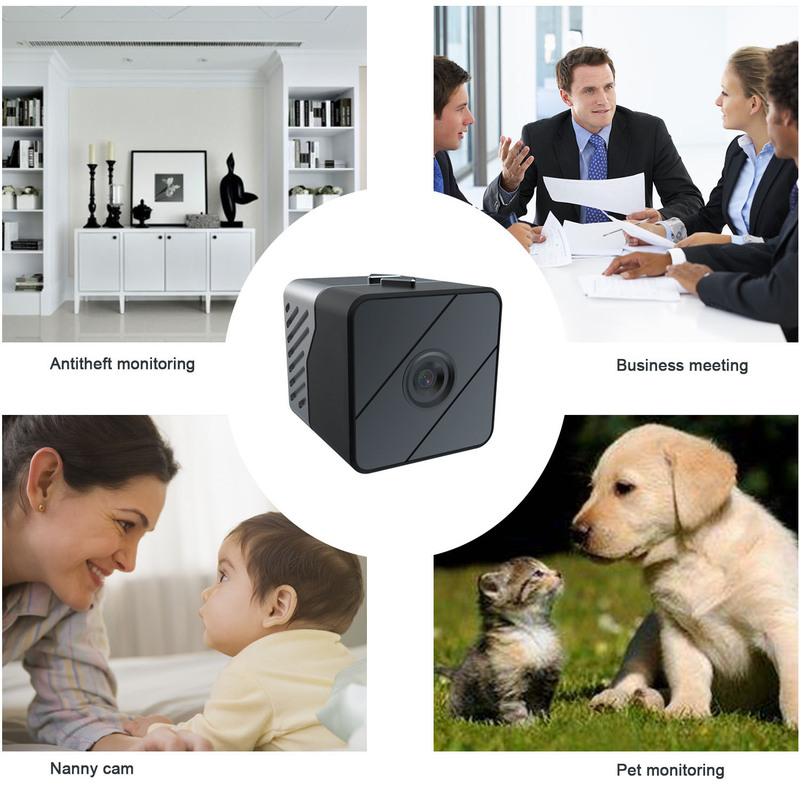 Once unit is charged, it is capable of recording for up to 4 hours continuously, or about 1.5 hours continuous recording if night vision mode is active. Note: Small indicator light on the bottom which is hidden on the surface alerts "user" motion activation feature has started. This can easily be concealed with a tiny piece of black tape when device sits in an out of the ordinary position. You can also plug the included USB cable into a power bank to get significantly longer portable power. Please note there is about 1.8 second delay from the time motion is detected until the recording starts. Transferring files is also a snap. Use the included USB cable to move your data from the unit to your computer. All files will be saved with the exact date and time it was recorded. Anyone can quickly start using this product with minimal direction. Ready-to-go out of the box, simply turn it on and start recording quality video in darkness.